The moment terrorists had entered into the offices of Charlie Hebdo, history was already unfolding before our eyes. It was too late to change course or alter destiny. Once the terrorists piloting the airliner had the twin towers in their sights, again, it was already too late to avoid disaster and death and fate. When it comes to understanding the true, metaphysical origins of terrorism, war, genocide and evil, it is too late to grasp the root cause after the blood has been spilled. Therefore, we can never prevent abominable chaos from occurring by addressing the terror after it has already happened. When catastrophe strikes, the sentence and decree of judgment has already been executed and now the entire tragedy with all of its implications lies in the domain of first responders, police, governments, hospitals, undertakers, the media, therapists, doctors, prescription meds and tranquilizers all of which are designed to help us cope with — but not cure — the pain and unspeakable suffering that has afflicted our world and our lives. This particular domain of coping through horrific tragedy after it has already happened lies outside the scope of Kabbalah. Thankfully, there are plenty of caring and sharing people who come to the aid of others to help them work through trauma and unspeakable suffering. 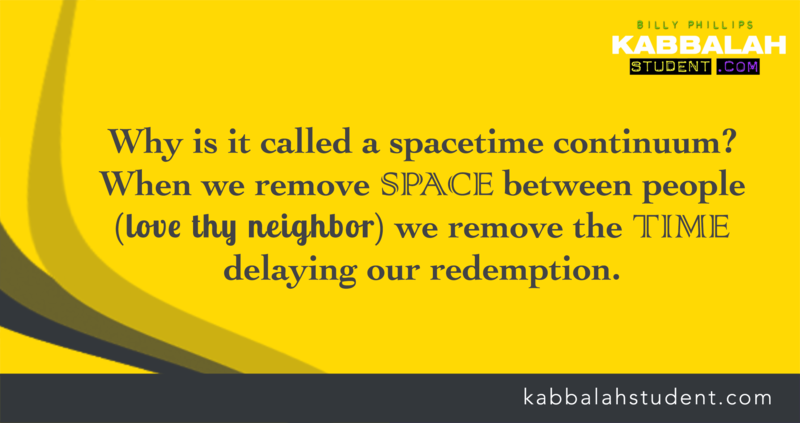 Kabbalah, since its revelation to the world some 4000 years ago, always addressed the root cause of any problem for the sole purpose of preventing it from happening in the first place. Kabbalah is about curing. Not coping. Kabbalah is about permanently eradicating future deaths and chaos for all peoples, instead of learning how to cope with pain and trauma. And because it hurts so much, the organized religious establishment feared Kabbalah and kept it hidden from the masses. I will now share the cure as revealed by ancient Kabbalists, so please brace yourself for some of that pain. The metaphysical true reality and the illusionary physical reality. The realm of pure consciousness and the world of matter and mechanics. What ever happens in our physical world is always an effect and never the cause. The cause lies in the domain of human consciousness. Consciousness creates our reality. 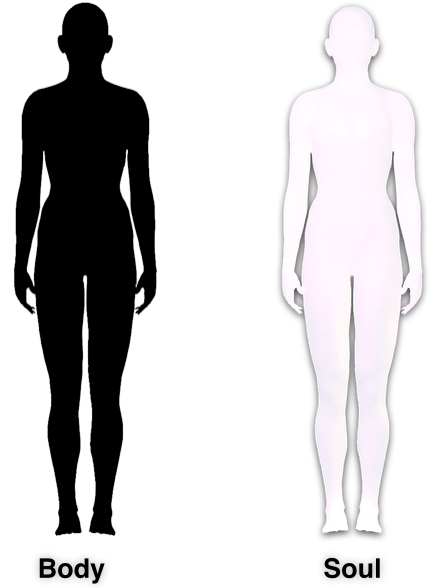 The human body is made up of both realities, the 99% and the 1%, the Cause and the Effect. Consciousness (not intellect), or soul, is the 99% and cause level. The intellect, governed by the ego and the desires of the human body is the 1%, the realm of effect. A human being’s free will is to either listen to the urges of the body and ego, or to resist it and allow the will of our soul to shine through. This is a difficult task by design as the ego has been given full control over our true consciousness and it hides it, like a blackout curtain, so that only the ego is heard in our mind. The ego has full control over the microphone, impelling us all day long with self-centered desires and bombarding every moment with self-centered thoughts, fears, jealousy, insecurity, anger and rage. Unleashing the power of our soul is what life on earth is all about. Struggling to silence the ego and find our true consciousness is the very meaning of life. But the ego has concealed this truth as well. The world is set up the exact same way. Humanity is one unified body and soul. The soul of humanity is the Israelite nation, those who stood on Sinai 3400 years ago and were given the Torah for one single lofty purpose. Get rid of the ugly ego. Unleash the beauty of the soul. Give instead of take. Share instead of receive. Impart instead of horde. Let go instead of hang on. Be accountable, not a victim. The other nations of the world, including Christians and Muslims and Hindus, they represent the body, the other organs of the body. When individual Israelites allow their own ego to rule over their soul, this is mirrored in the world and the other nations will rule over the Israelites. When our ego abuses our soul, then the other nations bring abuse to the Israelites and the rest of humankind. When we allow our ego to damage our soul, the other nations will damage the Israelites. This structure also extends to the other nations. They too have a body and soul. 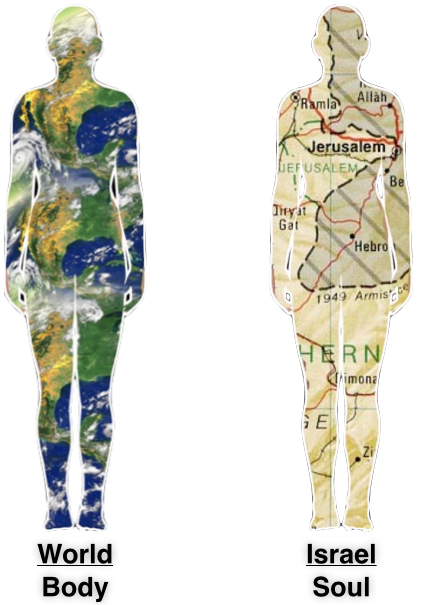 The righteous gentiles are the soul of the gentile nations and the negative gentiles represent the body. When the Israelites allow their selfish ego to control their soul, then the negative gentiles control and rule over all the righteous gentiles. When the Israelites allow their selfish ego to control their soul, then the negative militant, radical Muslims rule over the peaceful Muslims and the negative Christians rule over the peace-loving Christians. So the worst of the worst wind up running the world and they make all the headlines and bring darkness to our midst. Kabbalah is clear about this: the religious, legal and political establishments are under the rule of the darkness. But’s it our fault. Not their fault. This is a harsh truth and please do not get mad at me because I am just sharing what Kabbalah teaches and what the great 20th century Kabbalist, Rav Yehuda Ashlag teaches. Each of us is free to disagree with the wisdom of the Kabbalists. Kabbalists such as Rav Moses Cordovero, who was a teacher of the great Kabbalist Rav Isaac Luria during the 16th century, puts the blame of earthquakes, war, poverty, and even sickness and disease on the shoulders of the Israelites. All the great Kabbalists do. Which explains why many Rabbis of history so despised Kabbalah. When the monumental terrorist act occurred 2000 years ago and Jerusalem was turned into a heap of bones and a sea of blood as the second temple was crushed into pebbles and dust, the Kabbalists and Talmudic sages of 2000 years ago, laid the blame, not on the Romans, but on the Jews. The Romans were the effect. Our consciousness and behavior of self-interest, egocentric envy, hatred for no darn good reason and despicable intolerance was the singular cause. The Zohar puts it all into simpler terms. The Zohar says the Israelite nation is the heart of the body of humanity. The other religions are the various organs of the body. When the heart fails to furnish the body with blood flow, there is a heart attack or stroke or gangrene. This is the cause of terrorism. Period. Terrorism is a spiritual heart attack or stroke. Hatred and terrorist cells are gangrene and disease caused by blockages in the spiritual arteries by the bad fats, which the Zohar says is the ego. The ego is the fat that clogs our spiritual arteries causing disease. The Zohar described both the physical and spiritual cause of heart disease 2000 years by saying bad fats in the arteries cause heart attacks. Well, relationships between humans and nations are also arteries. And when those arteries are blocked by the fat called ego, darkness erupts causing terrorism and genocide. Only the flow of Light can remove the fat and clean out the blocked arteries. This lack of Light-Flow (Spiritual blood-flow) occurs because the heart, the children of Israel (Israel being Jacob, not a physical state or geography) are not transforming and playing their role as healers and Light givers to all the nations of the world. This is caused by the lack of Kabbalah in the world because only Kabbalah reveals the soul of the Bible, the Torah, the Quran and the New Testament. If one takes the Bible literally, then he is in the domain of the 1% body, the domain of ego and this is the lowest level of consciousness possible. Consciousness of the soul means we question and probe beneath the literal biblical texts and find sublime spiritual truths and insights that will unify all of mankind and bring forth genuine, metaphysical Light that will banish the darkness that dwells in the human heart. Only Kabbalah reveals the purpose of the bible which is to wage war on one’s own ego, not one’s external enemy. The truths of the Bible were concealed beneath the texts by design because that is the ONLY way we can evolve our consciousness and earn a world of paradise, as opposed to having it handed to us carte blanche. If paradise and a peaceful planet were given to us as though it were a free lunch, we would be nothing but automatons, charity-cases, the recipients of a divine charitable hand-out. And that cannot possibly create a happy contented, free willed thinking human being. It just won’t work. Therefore the truth was hidden so that we could earn it, because the truth has the power to transform us and enlighten us beyond imagination. There is a reason why the truth and paradise were hidden from us. What’s the reason? There is actually something far better than receiving truth, infinite happiness, peace and unending pleasure. Listen carefully: Being the very cause, creators and discoverers of the truth, and the infinite happiness, the peace and the unending pleasure that we receive is far better than just being a charitable recipient of a handout. This is the greatest gift that was given to humankind; to create the very paradise that we are destined to receive. Think about it. Is there a better joy when we build a business from scratch and make a fortune? Is there anything more delightful and meaningful for a scientist than to discover something like the laws of physics instead of it being downloaded into our brain at birth? Is there anything more rewarding and thrilling than writing a best-selling novel that blows the minds of readers around the world? Or being the inventor of the computer, the wheel and the light bulb? Succeeding by our own effort is the sweetest gift of all. And so it is with the truth of life because that truth has the power to bring us immortal existence. Therefore it is the most difficult truth to find. There is a lot of spectacular unity unfolding now in France, just as unity swept the United States for a few weeks after 9/11. I remember reading an article just a few weeks later about the firefighters of New York were arguing and fighting with the police on a street corner in Manhattan. When 9/11 struck, there were no more Democrats or Republicans. Everyone was an American. Just like today, everyone is Charlie and everyone is a citizen of France. A few short weeks after 9/11, self-interest returned to America and partisan politics returned, dividing this nation like never before in history. 1. Unspeakable horror shakes us to our bone and suddenly we feel a kinship with our fellow-man and unite. But it soon wears off. 2. Proactively eradicate the human ego, which is painful and scary, make no mistake, but then the result is the sweet taste of unity that we all experience during those precious moments after a disaster. Why take the road of suffering to unity when we can get there proactively, without pain? When we truly uproot the human ego, and dedicate ourselves to making other people’s dreams come true, billions of people will be dedicated to making our dreams come true. You know what happens then? This shift in human consciousness raises our consciousness and suddenly new inventions and innovations that can rid the world of famine, pollution, poverty and finally death, will be revealed into this 1% physical world. We accelerate progress exponentially. Instead of going from horse and buggy to train to car to airplane to 747 and then to rockets, we can skip all those stages and get to the perfected technology that will transform the world in every conceivable way possible. A perfected world awaits us. We get there through suffering or we can get their through inner change. So far, all the technological advances of humanity have come as a result of pain and suffering and war and death. What a stupid way to evolve. If we just wage war on our own ego instead of our fellow-man, we can get to paradise and immortal existence in a virtual heartbeat. But, the hard and harsh truth is this…A man would rather die physically, than have his ego die spiritually. It’s the toughest war on earth to wage. But the victory offers the ultimate: a world of peace, paradise and unending life. The illusion of this world will crumble revealing true reality and it will be as though we woke from a bad dream. We will wake up in a world that embodies true reality and everyone past, present, and future will be there. But of course, our ego now has to try to convince us that this is all silliness. That war of doubt and skepticism is yours to fight. It’s a war of life and death. If you want to contribute to the end of terrorism, war, poverty and disease, start fighting your own ego and treat the very people in your life — friends, enemies, family, business associates — with little less ego. Your impact on the world will be immeasurable. The whole purpose of the Zohar and Kabbalah is to infuse our consciousness with Light, which weakens the ego, and allows us to win the day-to-day battles so that our personal lives and this world begin to undergo change. Make no mistake, crime is down in the United States. New York, for instance has experienced a drastic drop in robberies and violent crimes that politicians are calling “extraordinary.” According to the FBI, crime is down all over the US, not just one year, but its declining every single year. Crime is falling. Murder is down. Violent crime generally is down. Property crime is down. In fact, almost every category of criminality that you can think of is declining. Here is the even better news. This is not a blip. The downward trend is now very well established and can be traced back over many years. And here is the funniest bit of this news. No one is really sure why. Those who think of themselves as experts on the causes of crime confess to being nonplussed. The majority of them predicted that a prolonged economic squeeze could only lead to more crime. They are scratching their heads trying to figure out why the opposite is happening. There is so much good news happening all around the world but the negative media only reports the bad news because the ego rules over our soul so the negative news rules over the good news. Make no mistake, there is more work and transformation needed to be done. Many of the most obscene and unspeakable acts of darkness, including molestation and human trafficking, are being brought to our attention as never before in history. But make no mistake, this is not a new phenomenon, it’s just that these abominable activities have been kept in the darkness for millennia. It’s now being brought to light and to our attention because the spiritual Light is shining brighter now than ever before in human history. The same way sunlight shining through the blinds reveals previously unseen dust particles floating in the shaft of sunlight, the spiritual Light of Zohar and human transformation shines a harsh light on the negativity that still needs to be eradicated. We help all those social causes by changing ourselves. That is the front line of war. Being the change you want to see in the world. Going so far deep inside to find our darkest traits that you want to quit this path because it’s too damn difficult and painful on our ego. But we persist anyway. And then that kind of effort banishes darkness and evil from the world in great measure. Of course, the negative side in this world will keep the headlines filled with terrifying and frightening news, concealing all the good news that also happening in the world. And it will make us feel helpless as we discover more of the monstrosities that are taking place in the world. All of this is to numb us into inaction. But now we know better. Each of us is a soldier in this war. And we fight it daily. The Zohar gives us the power to win the war just by meditating upon its texts and allowing it to infuse us with the highest levels of consciousness. Each of us becomes a candle in the world when we diminish our ego and self-interest and then more darkness is removed. And at the same time, we pour a light onto the problems that have remained hidden in the dark for centuries so that we can direct our consciousness to heal those issues as well. Fighting darkness with darkness only creates more darkness. Fighting darkness with Light creates less darkness and more Light. Fantastic fantastic read! Thank you Billy!!! Wow great read!! Kudos Billy!! . I have a question. What if all other nations (but Jewish) study and practise Kabbalah – can Messiah still arrive? In order to bring Messiah, you need both Israelites and other nations. Rav Ashlag explains, we must bring the Zohar’s Light to these other nations in order for it to happen. Just as Pharaoh finally realized that the one Light emanated from the One God and only THEN did the Israelites achieve freedom from Egypt, it means we must bring this Light to all nations. So you need both. You need Israelites transforming their inner ego (Code name Pharaoh) and you need to transform the will of the body (other nations) from selfish to selfless, from taking to giving, from me to we. As we rule over our own negativity of the body, the other nations will begin recognize the one Light that shines from the One Creator. You need both! On the contrary, one’s “religion” does not matter. we are all sparks of one soul. is there a specific organ of the physical body that does not matter? we are not a complete, living human being if we are missing a vital organ. likewise, every nation on earth is a vital organ in the body of humanity. perhaps you misunderstood the article. the whole point was to show we are one body of humanity and the Israelites play the role of the heart, according to the Zohar. but a heart cannot exist without the other organs. each organ is equally important. but each organ has a different function. and if it does not perform its function, the entire body suffers. i am sorry if the article made it confusing. the point was to simplify the root cause of violence and darkness in the world. The Zohar uses the heart as the analogy. If the body and other organs are missing blood flow, because the heart is not functioning correctly, disease sets in. 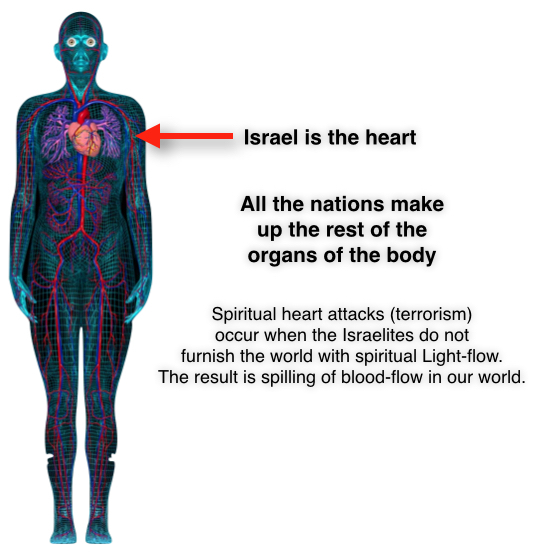 Likewise, in the spiritual body of humankind, if the heart (the Israelites) do not furnish the rest of the nations with blood flow, spiritual Light-Flow, “disease” sets in. This is the darkness, violence, war and chaos that afflicts all the world. 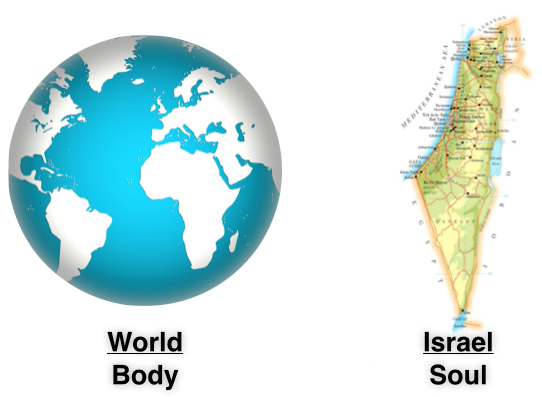 How can you say Israel is the soul (heart) and the other nations are the other parts of the body? Just so you know, this is a very dangerous concept and could lead to racism, caste system. This is God’s planet and only God decides who is who here. Taking the place of God and determining who is who on earth is the ultimate pride/ego. I have nothing against any nation in particular. We are all unique individuals who come from Adam who was created by God. We are all equal in God’s sight. We are all sinners in need of God’s mercy. Just as all the organs of the body are equally important, so too are all the nations. But each serves a unique function and purpose. But still equal. Even a tiny wire in a quantum computer is equal in terms of importance as the super microprocessor. Because if you cut that wire, you render the entire quantum computer useless. So we are all equal under God’s eyes. But we each must play our role and if the heart does not furnish blood to the organs, there is disease. Period. And that is the point the Zohar is making. Chosen People means we play the role of the heart to bring love, Light, kindness, care and compassion to all our neighbors in this world, to all the nations and religions. If we do not, then there is a spiritual metaphysical heart attack or gangrene that sets in. Hope i made this clearer. Thanks for sharing your comment! All people are equal and equally important. its about different functions not different equalities. Your body is made up of diverse organs. Its not separation, its diversity. Even a tiny wire in a super computer is as equal, in terms of importance, as the super microprocessor inside the computer. The microprocessor serves a different function and may even have a larger role to play, but if you cut that wire, you render the entire super computer useless. So we are all equal under God’s eyes. There is one vessel of humanity. It shattered into pieces. the bigger pieces are the Israelites. Therefore they have the biggest negativity as well. This is why they need Torah. To transform and thus channel the Light through their vessel to all the nations, the same way the heart channels blood to all the organs. But the heart cannot exist without the other organs. we are all equally important and vital and loved by the Creator. Thats because we are all one. There is red, blue, green and purple light, but that is an illusion. All the seven colors unite to create white sunlight. So we are one, but unique at the same time.